The Welsh Rugby Union and the nation's four regions are set to announce a deal this week to end almost two years of in-fighting over funding and control. Wales captain Sam Warburton is expected to be joined by nine more players on dual contracts under the new agreement. If the deal goes ahead, funding for the 10 will be in addition to an annual £6.7m shared between Cardiff Blues, Ospreys, Scarlets and Dragons. The WRU and regions have been asked to comment. Their last deal ended in June 2014, and if a fresh settlement is not forthcoming the regions face a combined £6.7m shortfall going into the 2014-15 season. Amid the impasse, Warburton is unable to play for Blues. But he is reportedly to be joined on joint WRU-regions funding by fellow forwards Alun Wyn Jones (Ospreys) Taulupe Faletau (Dragons), Gethin Jenkins (Blues) and Ken Owens (Scarlets). The backs could include uncapped, New Zealand-born, Cardiff Blues utility recruit Gareth Anscombe, who does not arrive in Wales until October. Wing Alex Cuthbert (Blues), centre Scott Williams, full-back/wing Liam Williams (both Scarlets) and fly-half Dan Biggar (Ospreys) complete the 10 players to be dual-contracted. The previous contract guaranteed the release of players for Wales coach Warren Gatland's two-week squad training camps ahead of November games, the Six Nations and for the fourth autumn Test which Wales regularly stage outside the approved International Rugby Board window. The stars set for joint WRU-regions contracts? However, that threat would disappear and there would be stability in Wales ahead of the 2015 World Cup if a deal is done. During the protracted row, teams from around Europe negotiated a revamp of cross-border competitions that will succeed the Heineken Cup next season. The Welsh regions, represented by Regional Rugby Wales, were party to that deal and are represented on the board of the new company set up to run the three-tier tournament from Switzerland. However, none of the funding from that tournament is scheduled to be paid to the regions until October 2014. Under the previous agreement, regions were partly funded via the WRU, guaranteeing a set level of income and covering the release of players for Wales international duties. Other funding came via participation in competitions, and similar arrangements will be put in place if the new deal goes ahead. The regions contended the previous agreement did not give them enough money to compete against leading French and English teams. 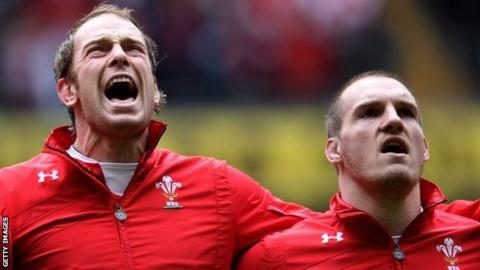 A number of high-profile Wales international players have already made big-money moves to play in France or England, with the Welsh regions claiming to be unable to match the wages on offer elsewhere. British and Irish Lions players Leigh Halfpenny (Blues to Toulon), Richard Hibbard (Ospreys to Gloucester) and Jonathan Davies (Scarlets to Clermont Auvergne) are among the players to have left Wales. None of the Welsh teams reached the knockout stages of the European Cup, or the play-offs of the Pro12, in 2013-14.